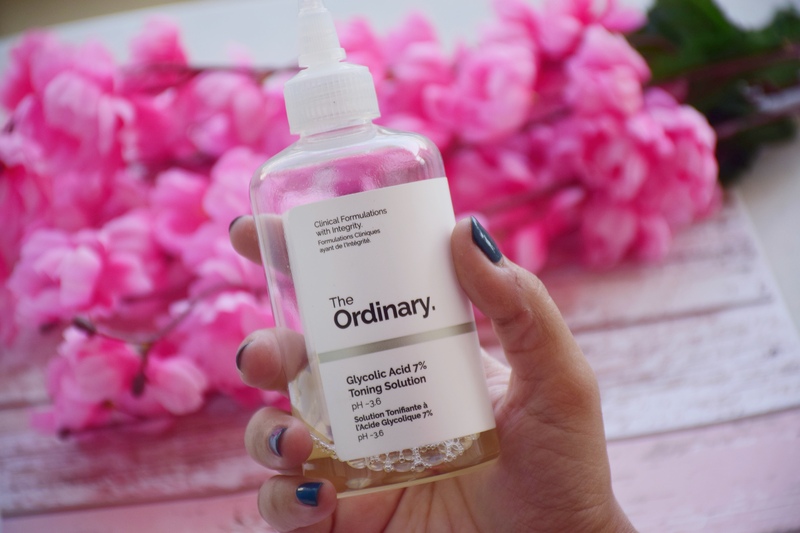 Price: The Ordinary Glycolic Acid 7% Toning Solution retails for 12.50USD i.e. around 900Rs. In India, it is available anywhere from 1400 to 1800Rs. The quantity we get is 240ml. 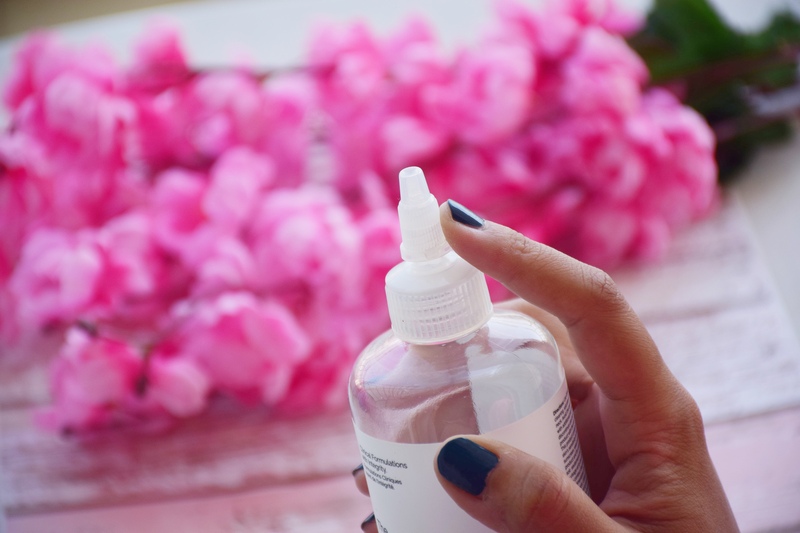 What is Glycolic acid and what is all the fuss about? Glycolic acid belongs to AHA (alpha hydroxy acid) family. It is a chemical exfoliant which removes dead skin cells, improves skin texture, combats acne and has anti-ageing benefits. 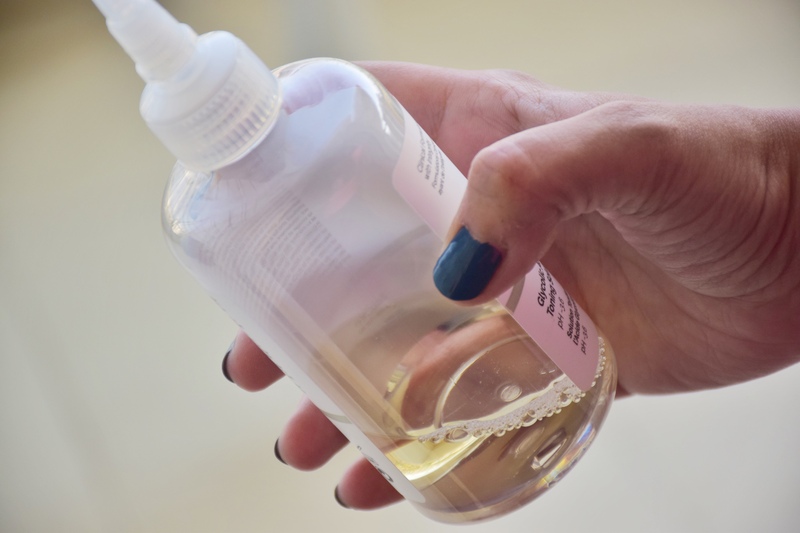 Though the name has acid which might sound scary, it is a pretty harmless (and wonderful) ingredient and most skin types react positively to it. It is always advisable to start with a lower concentration of acids and then build up to higher ones. I have prepared a generic sequence in which you can start using acids, you can find it in this post. The texture is water-like and comes out as a clear liquid. It smells a bit pungent, after all, it contains Glycolic acid. I use it after double-cleanse in my PM routine. On a cotton-pad, I pour some solution and sweep across my entire face except the eye contour. 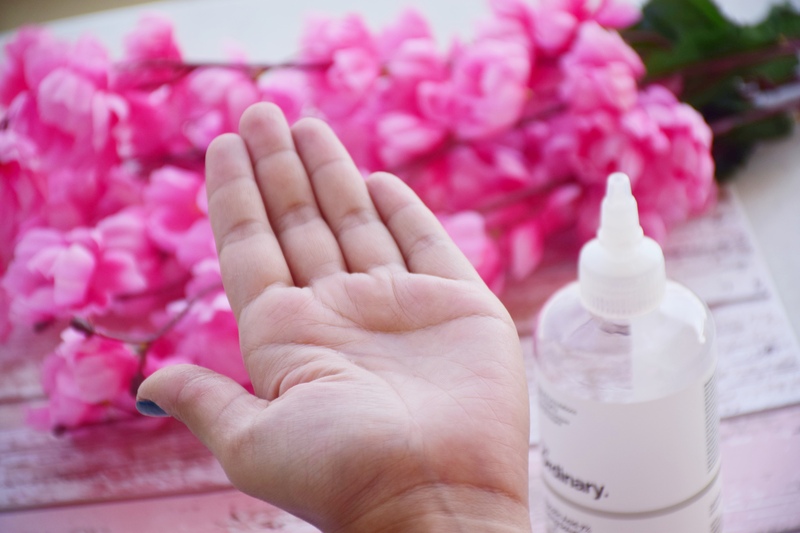 My skin has become used to acids as a result of which I can use this daily without any irritation or side-effects. start with 2-3 times a week while beginning and then increase the frequency gradually but not more than once per day. always use sunscreen especially when AHAs are included in your skincare routine. 7% Glycolic acid concentration is really potent, hence a patch test is a must before applying all over the face. This is a game-changing product for me. The texture of my skin became very much improved and it looks much clear and radiant now. I love using this especially when I am breaking out (period acne) and it really helps in drying them out quickly. This does have a slight tingly sensation when applied but it is nowhere close to burning. I have been using this since a year 3-4 times a week on an average and still left with product which will last me a fortnight. I am already finding out ways to get this at an affordable bargain as a backup. Needless to mention, this is one of my most favourite toners of all times. Damn, I need to get my hands on The Ordinary products, they’ve always intrigued me. The shipping charges would be killer, though. Where do you get yours from? Awesome click, I will try it soon. Want to try this.. will it work on milia too?